1228 SF Colonial with 3 Bedrooms & 2 Full Baths. Located on Neighborhood Street within Walking Distance of East Rochester Village, Leo's Bakery and More! Eat-in Kitchen with Pantry Opens to Family Room! 2 Bedrooms and Full Bath Upstairs and 1 Bedroom and Full Bath on Main Floor! Cozy Partially Fenced Rear Yard! So Much to Offer! Call Today! East Rochester Elementary School Pre-School, Elementary School / Public 8 0.82 mi. East Rochester Junior Senior High School Middle School, High School / Public 6 0.81 mi. St Joseph Elementary School * Pre-School, Elementary School / Private N/A 1.26 mi. Charles Finney School * Elementary School, Middle School, High School / Private N/A 1.21 mi. Cobbles Elementary School * Elementary School / Public 10 1.12 mi. Penfield Senior High School * High School / Public 9 1.5 mi. 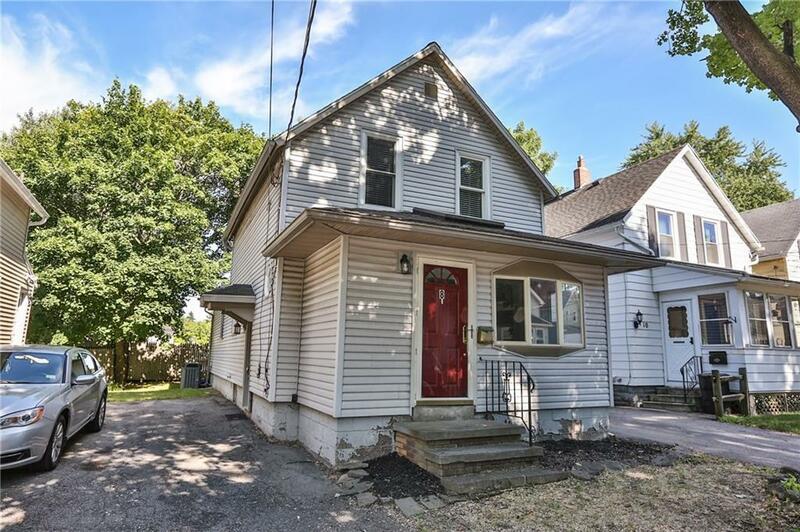 8 Apple Street, East Rochester, NY 14445 is a 3 bedroom, 2 bath single family home was sold for $92,000 by Marcia Glenn in the Penfield real estate office.